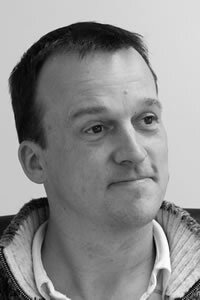 Freelance Web Developer in Cambridge - Andy Squires - providing web development & SEO services to companies in Cambridge and Saffron Walden. I'm a freelance web developer in Cambridge first and foremost, I have over 20 years' experience in web development and have been providing web development services to companies of all sizes in Cambridge and the surrounding area for most of this time. I also provide SEO (Search Engine Optimisation) services to many clients in Cambridge with the view of making it a bespoke SEO service rather than just a contract that you're tied into which you don't understand much about. Most of the websites you'll see in my portfolio are in the Cambridge area all of which I've developed using various web techniques. My Cambridge clients range from small, one man bands in to multi-national companies who are based in Cambridge and other areas of the world. As you'll probably know there are multitudes of languages and different technologies to develop websites with. Needless to say, as long as your website looks good, works well, and gets you the results you need it doesn't really matter what it's built in. The majority of my most successful websites in Cambridge and Saffron Walden have been built in ASP.net utilising HTML5 and CSS3 (as standard). Some have MS SQL databases providing content, some have bespoke CMS (Content management systems) to manage their content, and others are just standard websites to promote their company in Cambridge. All of them have very happy clients and I pride myself on supporting all of my clients with good, free advice on how to get the most from their websites. If you're a company in Cambridge I would expect that one of your main priorities (after you've got your website up and running) is to start applying some form or marketing for your website which usually includes SEO in one form or another. I've been running a bespoke SEO service for several years to many clients in Cambridge which is tailored to the individual company. These are flexible services which aim to maximise the potential of the website and promote it in Cambridge and other areas if necessary. There are no tie-ins and no hidden costs. I explain what Search Engine Optimisation is, how it works and how we will optimise your site to get it found in Cambridge and any other location you may need to appear in the search engines for. So if you're looking to develop a new site, re-develop your current site, or if your site just isn't being found on search engines (or even if it is being found but you're not getting the contacts you expect) then give me a call and we can discuss what your options are. Advice is free - I believe that if I give you good advice you're more likely to put your business my way.